Many people hold the belief that orthodontists only change the look of your teeth. Consequently, you might think that the only reason to find an orthodontist is if you are interested in cosmetic dentistry. 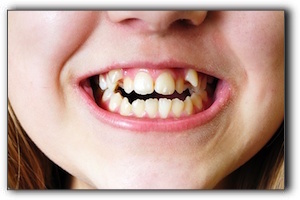 The fact is that your ability to clean your teeth is enhanced when your teeth are straight and uncrowded. Also, if you feel that the appearance of your teeth is an issue, ask your dentist about a smile makeover. There are numerous state-of-the art cosmetic dentistry procedures performed daily. These include teeth whitening, veneers, dental implants, crowns, and more!